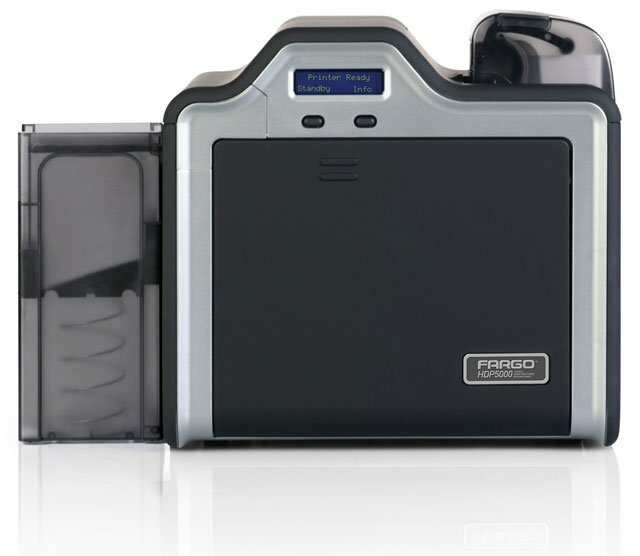 Fargo HDP5000 2013 Version - Single-sided Printing Bundle. Bundle includes: HDP5000 single-sided printer, AsureID Express Photo ID Software, high-end USB digital Web camera, YMCK Print Ribbon, HDP Film, Ultracard Premium Cards - 500 count, USB Printer Cable and 1-year AsureID technical support. The Fargo HDP5000 printer/encoder is feature-packed. Perfect for technology cards with embedded electronics, it reliably produces cards in High Definition with the highest image quality available. The HDP5000 upgrades easily with additional printing, laminating and encoding modules. 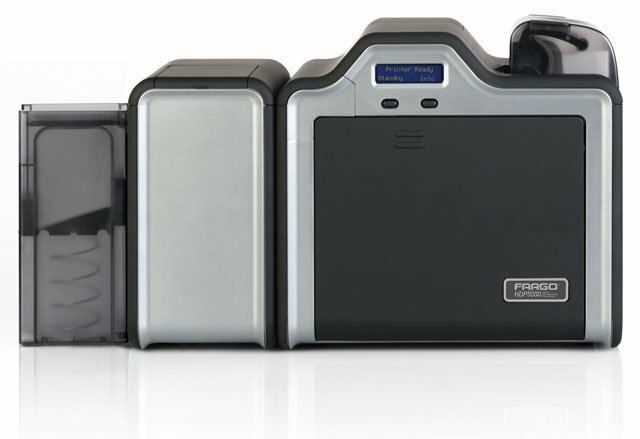 The HDP5000 features optional single-sided or simultaneous double-sided lamination for higher card security. Its double-sided card printing option lets you double the print area available without manually reloading cards. A SmartScreen LCD Control Panel displays helpful status messages and prompts. And cartridge-based card handling allows for both faster reloading and quicker switching to different card stocks. HDP5000 .6 Orbit Overlam 250 ct. Overlam has thin "border" around the edges. Also works with DTC4500, DTC4500e. HDP5000/DTC4500 1.0 Overlam 250 ct.
1.0 Orbit Polyguard Overlam 250 ct. for HDP5000 and DTC4500. Overlam has thin "border" around the edges. HDP5000/DTC4500 .6 Overlam 250 ct. Overlam has thin "border" around the edges. Extended Full Service Warranty for HDP5000 Lamination Module Only. This part is also known as 086153. The Fargo 89300 is also known as Fargo Electronics	FGO-89300	.